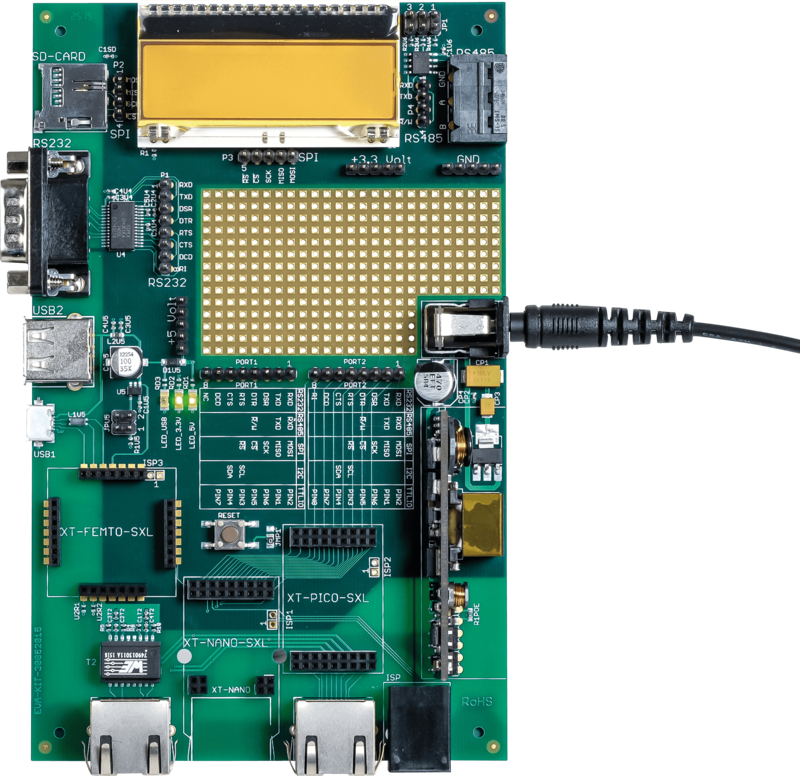 The EVA-KIT-SXL for the embedded LAN module XT-PICO-SXL, XT-NANO-SXL or XT-FEMTO-SXL offers all functions as well as hardware possibilities to try them out completely. 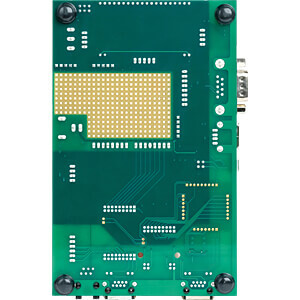 It includes an RS232 and RS485 interface as well as an SPI display and SD card holder. 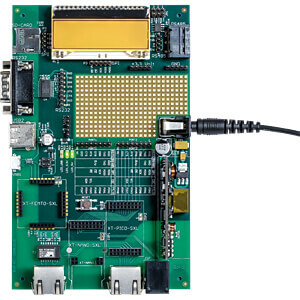 A POE (PowerOverEthernet) module is also included on the EVA-KIT-SXL. 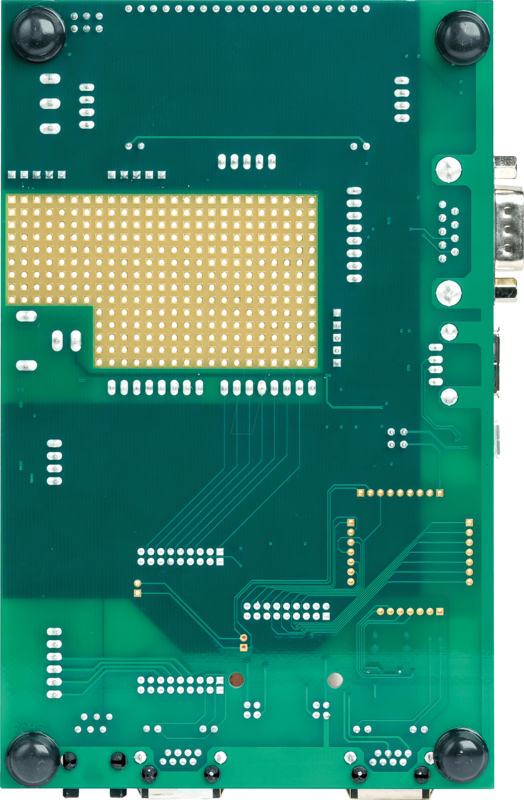 An additional WIRE-WRAP field with a grid dimension of 2 mm makes it possible to use or connect your own hardware. With prepared plug-in cables, each bus of the Embedded Ethernet modules can be disconnected or connected separately.